It's still a few months before organic blackberries begin production out of Santa Maria, but suppliers - especially organic suppliers - are looking forward to the season. Blackberries are reportedly among the more difficult berries to grow due to their sensitive nature and precise handling requirements. "Our season out of Santa Maria starts from mid-May and we have organic blackberries available through November," said Sal Barajas of Better Produce. "We only carry organic blackberries and the program is going well. Blackberries do tend to have a lot of issues and despite having a number of varieties, each has its own particular challenges. From a grower's perspective, they're a difficult item to handle and probably the most challenging berry to grow." "Once picked, the berries need to get into the cooler as quickly as possible," he continued. "They're also sensitive to rain and other inclement weather. There are so many steps to be aware of and get right and you can't afford to miss any of them. If someone drops the ball somewhere along the line, it shows up down the track." Better Produce carries organic blackberries. According to the company, the demand for organic berries is very strong and is demonstrated in its other organic berry commodities as well. Therefore, despite the challenges that cultivating blackberries presents, the strong market provides a good incentive to produce them. "When it comes to blackberries, all we grow is organic," Barajas shared. "We have not had any problems when it comes to marketing our blackberries and raspberries due to the very strong demand for both." He added that now during the winter months, growers are preparing for the season ahead. "The bushes lay dormant during winter and we conduct maintenance on them, such as trimming branches. You can usually get 7 - 10 years of fruitful production out of a blackberry bush." One of the focal points for Better Produce is the goal of transitioning away from plastic packaging and towards recyclable packaging. In line with the company's goals for sustainable produce, they are looking at introducing the recyclable packaging for their organic blackberries this coming summer. 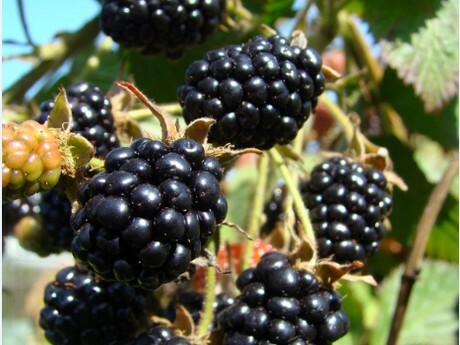 "Currently, we pack our blackberries in 12 x 6oz clamshells," Barajas said. "We are working at possibly introducing a recyclable package for our blackberries and raspberries - the ReadyCycle, which we have already introduced for our strawberries. The initial costs are higher for ReadyCycle, however once more companies invest into recyclable packaging, costs will come down. Additionally, for us it provides an opportunity to bring recyclable packaging to more customers."